Our complex, Marina Sol, is a peaceful paradise with beautifully maintained grounds surrounding the largest heated pool in Cabo San Lucas! The Best location in Cabo is one block to Mendano Beach for safe swimming and all beach activities, one block to the Marina for world famous fishing, while downtown is just 1 1/2 blocks to shopping and the exciting night life! You can walk everywhere! Our complex also has a small day spa in the lobby called Nahui. They provide many different services. Their massages are fantastic! Mini market in lobby of complex. Private wireless in the condo and Wireless by the pool. The Oasis is a pool side restaurant that will also deliver your food to your condo! Our complex is just an excellent set up! The condo shown has two large bedrooms, One bedroom has a king-size bed and the second bedroom has a queen-size bed as well as bunk beds. Two bathrooms updated in 8-2015 make accommodations perfect for everyone. Full kitchen is convenient. Living room has TV with a comfortable queen-size sofa bed for relaxation. We have a washer dryer and a BBQ on the Balcony. The condos is set up to be comfortable for our guests. The kitchen is stocked with basic necessities for cooking and all the condos have a supply of sheets and towels. Please bring your own beach towel. **You should expect to bring your own shampoos and conditioners. Soap for showers is provided. Unit is clean on your arrival and cleaned after your departure. Additional maid service is available for a fee and can be arranged by Owner or you can arrange at the time you check in. Price depends on number of nights booked and the time frame requested. $140 a night is a base rate, Holiday periods are $200 - $225 a night. Holiday time frame has a 6-7 night minimum unless the dates fill in so please check with me. **We do allow 2 night minimum but at a higher nightly rate than posted. Check in fee for a 2 bedroom is $75. The Holiday rates vary so please inquire for the rate. ** We can Now Take Visa, Mastercard or Paypal account ~~~ If you use a Visa, Master Card or Paypal there is a 4.5% surcharge to cover the fees~~~. ~~In the event of a cancellation - please contact Lorie. There is a $200 cancellation fee. If dates are rebooked, we can give a refund and if we cannot rebooked the dates - we allow you to use the condo at another time - excluding Holidays. This is a family owned condo. We bought the condo because it is close to the beach, town & Marina. Best of all Cabo is sunny almost all year round! We like the courtyard with the pool. Our condo has a private balcony that you can view the town. We enjoy both the Oasis and Serranos for food or drinks. The ability to walk anywhere in town is a bonus. Must arrange with manager to have turn on. Guest responsible for their own charges. Air Conditioner in each Bedroom and Living Room. Bring your own beach towels. Community washer and dryer is coin operated. Laundry service is also available in the mini-market in lobby. Entire complex is now wireless to use your own laptop. Condo is stocked with books. We have a ramp into the A building. Pool, Hot Tub / Jacuzzi, InterNet Cafe & Mini mart in Lobby with internet services, & Small Gym. Great complex. Close to everything. We really enjoyed our Stay here. The unit is slightly dated but functional and comfortable. The complex is great. The pool and restaurant were the highlight of our stay. Thank you for staying in our condo. We have updated our condo over the years including recent remodeling of both bathrooms, new appliances - Fridge is only a couple months old, fresh paint, re-vanish kitchen cabinets, new tv and every mattress is less than 2 years old. Air conditioners updated as well. I am going to assume they are referring to our kitchen. We have intentionally chosen to keep our "Mexican kitchen". After a few family discussions about upgrading to granite, we decided that this is our condo in Mexico and we are going to embrace the look and culture. Stayed here for a girls weekend away. The condo was very clean and well stocked. The location was great, a short walk to everywhere we wanted to go to and we felt safe walking home at night from the Marina area. Lorie was very responsive and helpful - we would definitely recommend the condo! Thank you! We would love to have you come stay again. Stayed in a 3rd floor unit, lots of space and everything you need. Pool area and oasis bar and restaurant were good, reasonable on prices. The complex is within walking distance of the beach and downtown area which is nice. Only big complaint is the noise. All hours of the day and night you will clearly hear traffic and construction noise. The other units are very easily heard as well. If you intend on spending any amount of time in the condo relaxing, you will definitely notice this. Our Complex is in town so you do hear noise. The benefit to being in town is to walk everywhere including the Beach, Town, Marina, the Mall - the main attractions in Cabo. Usually quiets down. Our family of five stayed here over Christmas. There was plenty of room for everyone to spread out and have privacy. The unit is clean and stocked with the essentials to start your trip off. Furniture was comfortable, and everyone was happy there was wifi. I enjoyed my mornings with my coffee on the porch. 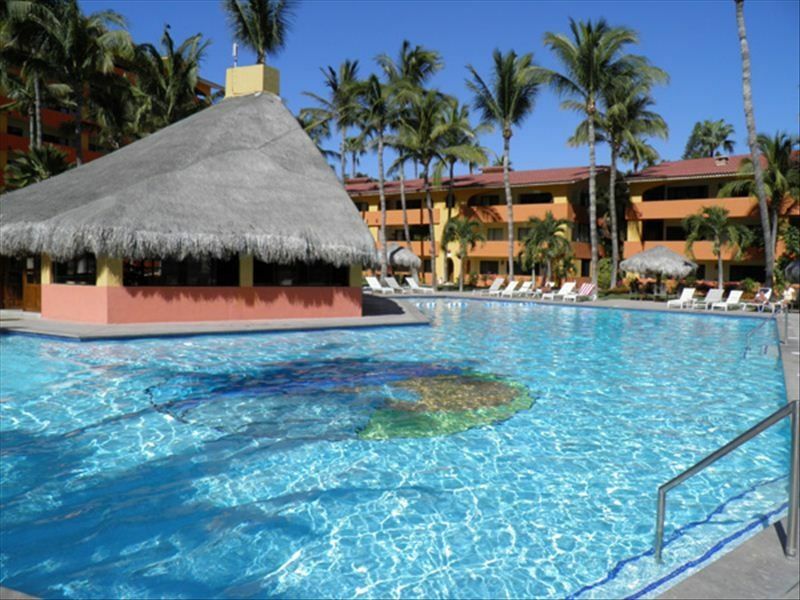 The resort itself is great - well-maintained, lovely pool, good food (and prices) at the restaurant and bar, and excellent staff. The location of the unit is on the street side, which is a little noisy, but didn't bother us. We loved the proximity to the beach, shopping, marina, and restaurants. With a short walk, you are anywhere you need to be, except WalMart, which is an interesting little bus trip away. I also recommend getting a massage at the spa here. Fantastic unit and lovely way to spend our holiday! Thanks, Lorie! You were so easy to work with too. Cheers! Thank you. Glad you had a great time. We hope to see you again. We appreciate that you stayed in our condo. Since Marina Sol is in town you will hear normal traffic noise from the street in most of the condos. I love that you took the bus to Walmart! In traveling to Cabo several times before and staying in resorts and all-inclusive previous times, our group decided to stay in a condo to save money and because of the location. We were very pleased with the location which was a half a block from the only swimmable beach in Cabo and all the action. Not only was the beach close, but the excitement of the city was only a 5 minute safe walk to all the action and nightlife. Location was key and this property was in the perfect place. The condo itself was very comfortable and the complex had a great pool and if we wanted to be in the action it was only steps away. Loved the sliding door which opened the place to the outside patio, this was a great surprise to relaxing with the fresh air bringing the outside in. Lorie, the owner, was a pleasure to speak with before our trip and was helpful with her contacts for transportation and all my questions. We would recommend this place to everyone, and you cant go wrong staying at Marina del Sol complex if you want peace and quiet and be close to the action or both stay here. Thank you for your awesome review! Glad you had a wonderful time. There aren't enough wonderful words to describe the perfect location of Marina Sol condos. Walk to: beach, marina, movies, downtown. The neighborhood restaurant selection varies from 5 star dining/reservations required to delicious and bargain street fare. The complex is clean, seems to be well run and the pool is terrific! Condo is located in this great complex. It is street side (versus pool/garden) view. The street it is on is Busy and Loud at all times of day. Be prepared (ear plugs, keep windows shut, AC running, etc.). Condo is stocked w dated basics - kitchen eqpt, towels - you can't hurt anything, others before you have handled that task brilliantly. There are no supplies except coffee filters, however. You won't find: dish soap, windex (dining table is glass), paper towels, toilet tissue and soap/shampoo, basic spices, ziploc bags, etc. This is NOT a hotel (staff's words not mine). If staying longer than a week, apparently there is cleaning/maid service available if arrangement made in advance. We didn't do that, wish we had known. $30 to have the sheets changed, towels washed and sand swept out of the condo cleaned mid trip was well within our travel budget. The big negative about this particular condo was the beds. They were extremely uncomfortable. The bed in the master was rock hard and our teenage boys complained about theirs. We would rent a condo at Marina Sol again in a heartbeat. This particular condo we'd consider if the mattresses are replaced on all of the beds. The Condo is located in town so you will hear regular street traffic. The location is why you can walk everywhere but the offset is there is traffic in town. The balcony windows do close and they do minimize the noise. The entire complex is surrounded by streets so any condo in the entire area you will hear some noise. The maid service was mentioned on my ad to discuss with only but I have clarified it in writing that it is available. On the supplies there should be toilet paper and one extra roll in each bathroom and papertowels on the rolls. If this did not happen I will discuss with management. This dishsoap we do leave some but unfortunately when some guests use it up it does not get replaced sometimes. The bedrooms are set up for multiple guests. In one room we have a pillowtop queen mattress that is pretty new, the master has a firmer mattress with a pillowtop mattress cover. The twin beds are regular mattresses. Some people like soft beds some people like firm beds. We try to accommadate both. Overall this condo is well set up and very comfortable. ** 2 night minimum but at a high nightly rate. Email for nightly rate if you are only staying 2 nights and how many bedrooms you are interested in. Thank you. *** Recently the credit card companies have been charging an international Fee. If you are not in the USA Please tell me upfront. This fee has to be paid by the guest. We are absorbing the 3% credit card fees charged by the credit card company but cannot absorb this fee too. Fee has ranged from $25-$50 for bookings paid with a card outside of the USA. Please email me if any questions. Thank you.